Thanks for all your entries into the #WinSplashID Giveaway, especially all your wonderful stories of how you used to manage passwords and how SplashID has helped you! We’ll be following up with winners individually by email, and they should be set with their Lifetime subscriptions to SplashID Pro by early next week. 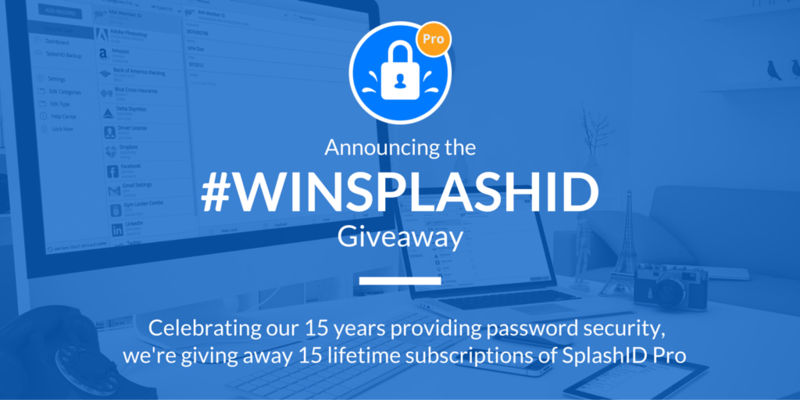 Didn’t win but still want a way to get (or extend) a SplashID Pro subscription at a reduced price? Just head over to our SplashID Pro page and use coupon code PROHALF to get your first year for just $9.99!